Ground Penetrating Radar Scanning (GPR) is a reliable, non-destructive means to locate targets within concrete structures prior to drilling, cutting or coring. High-frequency radio waves are used. When the radio waves hit an object beneath the surface, or a boundary with different dielectric constants, the radar will reflect what is below the surface. Optimal depth penetration is achieved in massive dry materials such as granite, limestone, and concrete. In moist conditions with high electrical conductivity, penetration is limited. 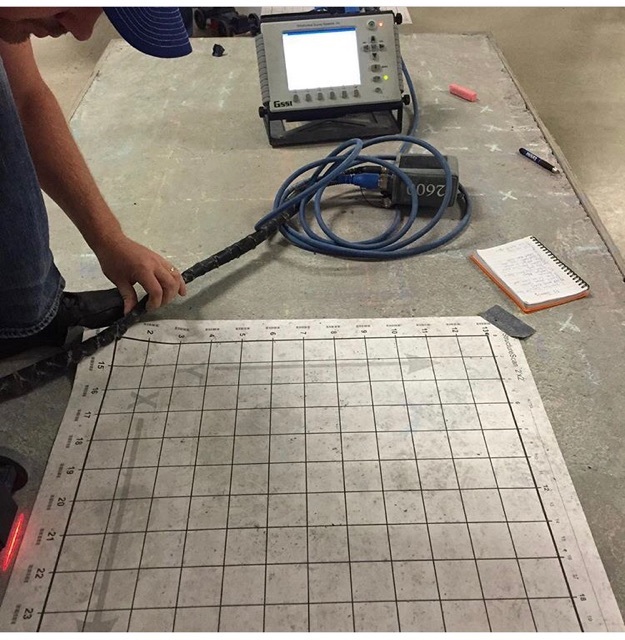 Marek Sawing and Drilling is proud to use ground penetrating radar for our customers. 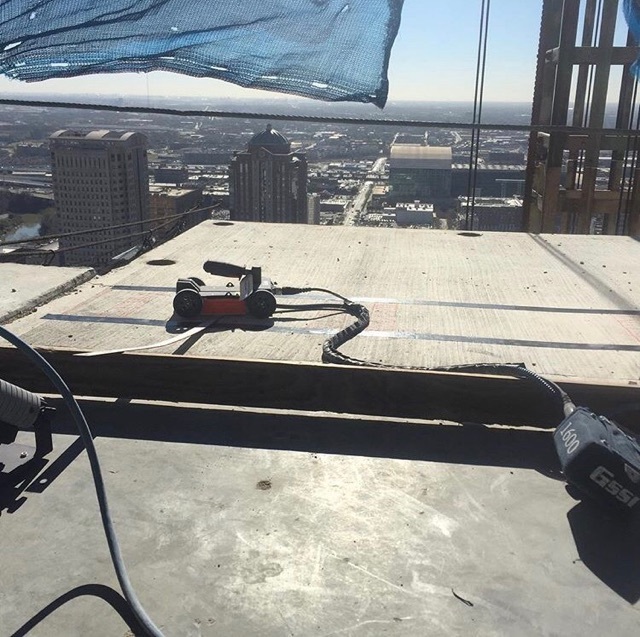 It's a reliable tool that is easy to use and accurate for locating rebar, post tension cables and conduits.